Preseason Goalie Clinic at Shelburne Field House on Sunday, 4/7 at 9:30. Please use your team contact lists to spread the word. 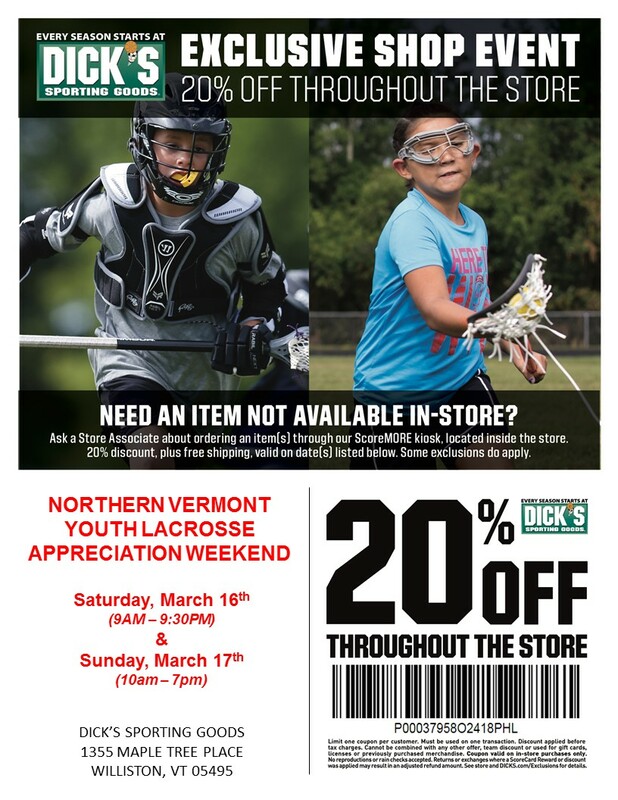 We are hoping to have a great turn out for this event and are excited to get youth players involved with the UVM Catamounts! Players will have a great opportunity to learn from coaches and players from the UVM Men’s and Women’s Lacrosse teams.